Sandra Dee and Bobby Darin co-star in a devilishly wicked romantic comedy about the lengths people will go to win the game of love. Rich, beautiful and stylish socialite Chantal Stacy has just married charming, talented photographer Eugene Wright. On the advice of her mother, Chantal tries to train her man to be the perfect husband. But once hes on to her womanly wiles, Eugene answers with some jealousy-baiting tactics. 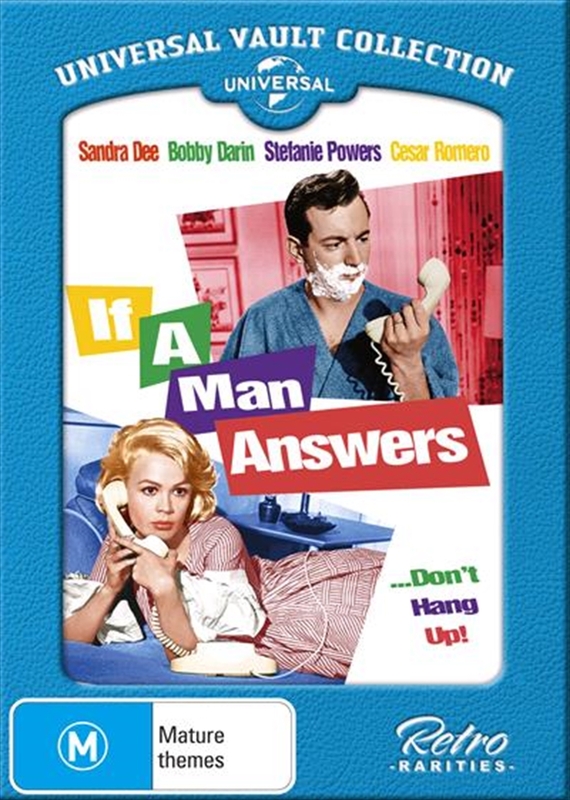 IF A MAN ANSWERS was the second pairing of Sandra Dee and Bobby Darin, having met on the set of the 1961 Rock Hudson comedy COME SEPTEMBER (also available on DVD in the Vault Collection). Like the Doris Day-Rock Hudson comedies, the Dee-Darin partnership was loved by audiences, made even more fun given they pair were married in real life. Stefanie Powers (HART TO HART) and Cesar Romero (BATMAN) join in on the battle of the sexes.